Currently viewing the tag: "critique"
This week we discuss Diane Marie Keeling’s History of (Future) Progress: Hyper-Masculine Transhumanist Virtuality in Critical Studies in Media Communication. 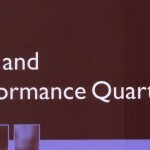 It’s an interesting piece that works through Deleuze and Guattari via the NFL. We are thrilled about this interview! 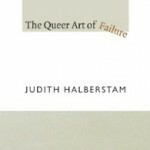 We chat with Dr. Halberstam about The Queer Art of Failure - a book that is both brilliant and accessible. This is, no joke, one of our most engaging interviews to date! We chat about queer failure (of course) and the reason why it is a viable method of unbecoming. After reading this article, we knew we had to chat with the authors! Rufo and Atchison’s From Circus to Faces: The Disciplinary Politics of Citizen and Citizenship is a provocative piece that challenges how contemporary scholars make sense of the public and the citizen. After an extensive analysis, the authors critically engage the work of Rob Asen and his discourse theory of citizenship. In this episode we discuss Phaedra Pezzullo’s “Contextualizing Boycotts and Buycotts: The Impure Politics of Consumer-Based Advocacy in an Age of Global Ecological Crisis.” What are some highlights, you ask? Well, the discussion of Grossberg’s construction of impure politics and the implications on social activism is pretty awesome. Episode 55 brings you an interview with Dr. Henry Giroux. Dr. Giroux discusses politics on the left and right, authoritarianism within the United States, and the state of education. All of this and more is in his latest book, Zombie Politics and Culture In the Age of Casino Capitalism. In this episode we review Richard K. Popp’s recent article in CSMC, “Visual Culture, Public Space, and Piety in Focus on the Family’s Citizen Magazine.” We chat about our own histories with Focus on the Family and Popp’s insightful discourse analysis. 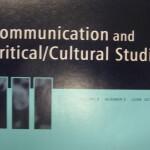 We chat about Rosemary J. Coombe’s recent piece in CC/CS and the relationship between cultural rights and cultural studies. This is our last ‘cast until NCA. See you all there! This week we dive into a new CC/CS article “The Abuses of Literacy: Amazon Kindle and the Right to Read” by Ted Striphas. Anyone that owns a tethered appliance (iPod, anyone?) should check out this article. What is auto-archeology? It is an ethnographic method developed by Ragan Fox in his recent Text and Performance Quarterly piece, “Tales of a Fighting Bobcat an ‘Auto-archeology’ of Gay Identity Formation and Maintenance.” We have some opinions on it and would love to hear yours in the comments. 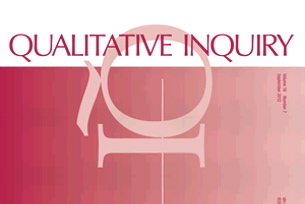 In this podcast we review our first piece from Qualitative Inquiry and discuss the challenges of reviewing an authethnographic piece.